Sebastian Vettel wants Ferrari to retain Kimi Raikkonen next year, as he moved to play down the Finn's recent troubles. Raikkonen's future at Ferrari has been the subject of intense speculation on the back of qualifying difficulties and incidents in the races in Canada and Austria. Ferrari has made it clear that it is no rush to make a call yet on who will line up alongside Vettel next year, but the German insists that he sees no reason to change things. "I am pretty happy with Kimi," said Vettel, during a Ferrari media event at the Hungaroring in Hungary. "As I said many times, there is tremendous respect between each of us. It is very straightforward: there are no complications whatsoever to work with him as he is very straight. "Obviously the last couple of races were a little bit up and down for him, and it is normal in F1 that you get criticised immediately. "I had four phenomenal years and had one year where a lot of things happened, where a lot of things broke down in the car and where I did a lot of mistakes, and I got criticised. Now things are changing again. "That is why these things are not so important if you know who you are. I think Kimi knows who he is and he knows what he wants. That is why I think we have a good relationship as well." 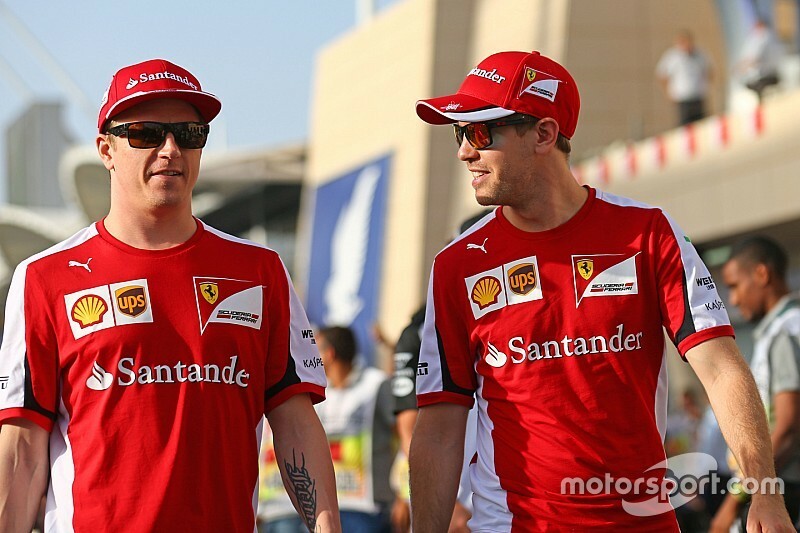 Vettel believes that he and Raikkonen have worked well together in helping Ferrari get closer to Mercedes, although acknowledges there is still much to be done. "Obviously the gap to Mercedes is still very big, but we are working very hard to try to close it down," he said. "Currently [I think] we are doing the best job out of everyone if you look at where we have been last year, where the team is this year, and how competitive we are now compared to the beginning of the season. "It is not easy. Mercedes is one of the best teams for a reason and being able to close that gap means we are doing currently a better job than them. But in the past they have done better than us so there is still some catching up to do."